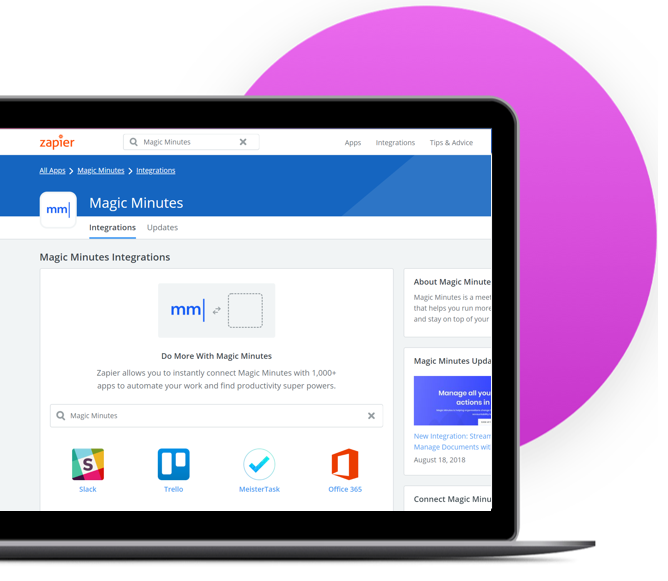 This guide will help you to understand how to use the Magic Minutes with Zapier. 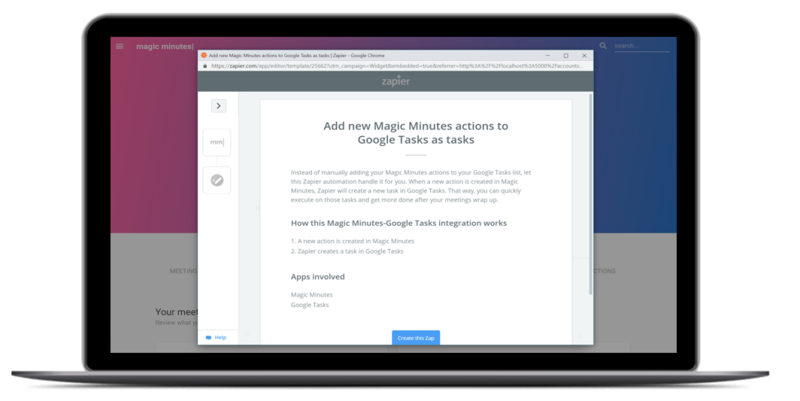 You can create different zaps to integrate Magic Minutes with your other productivity apps. You can find the pre-made Zapier integrations from the main navigation pane. 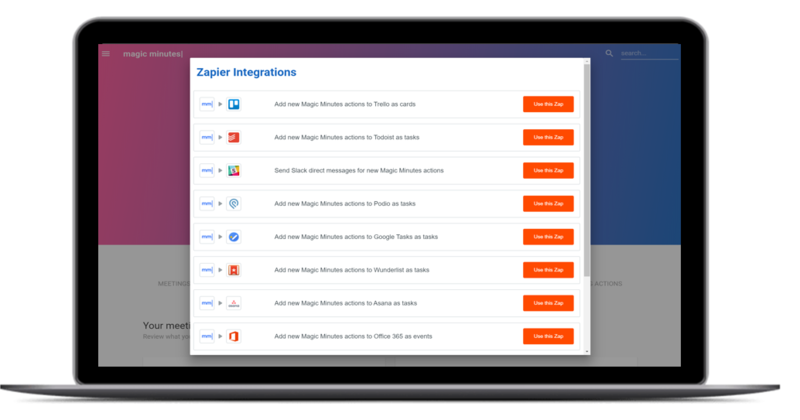 Simply click on the “Zapier” link and you will be presented with a range of pre-made Zapier integrations (more are coming soon!). Click on the “Use this Zap” button to get started. When you have clicked on the “Use this Zap” button you will see a screen as shown on the left.